While rugged phones are getting extremely popular these days, there is no denying that majority of these models can quite bulky monsters. But there are few exceptions, who are trying to bank their chances also on the sleek design and looks, one of them being the IOUTDOOR X. And you can get this rugged slender beast currenly on sale from the Coolicool e-shop. 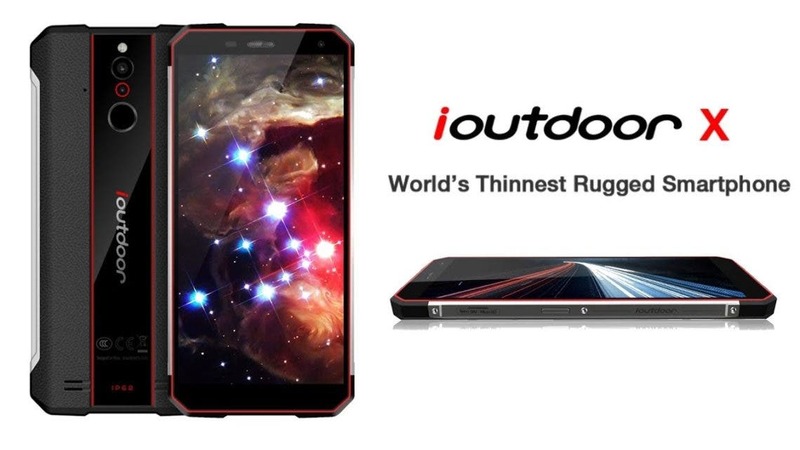 IOUTDOOR X is of course the rugged model with all the protection perks thanks to the IP68 certification or the Corning Gorilla Glass 5 display protection, but they really managed to cram it all into a body only 10,4mm thick. The phone can also offer 5,7-inch FHD 18:9 screen, Helio P23 processor, 6 GB RAM, 128 GB of internal storage, Sony 16MP + 8MP dual rear cameras, 13MP selfie cam, NFC chip, 3400 mAh battery capacity with 9V/2A fast charging support, hybrid dual SIM slot and Android 8.1 Oreo system. You would think the design specialties and the world’s first title would command quite a high price tag, but that’s not the case. IOUTDOOR X is currently sitting at a pretty solid $239.99 at the Coolicool e-shop, which is a very reasonable for such a beautiful rugged piece. Previous Snapdragon 632 Powered Phone Appears on GeekBench - Is this the Meizu M7?